The Elderberries (Sambucus nigra) are abundant this year. Great bunches of them are hanging off the branches, bowing down almost begging to be picked and made into an Elderberry Cordial Syrup. 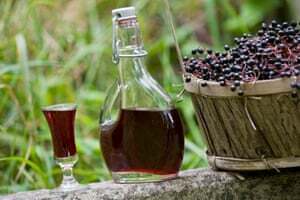 As humans we can benefit a lot from Elderberry culinary delights. In folklore Elderberries have been used as a protection against influenza. World renowned Israeli virologist Dr. Madeleine Mumcuoglu has dedicated her life to researching the health benefits of Elderberry extract, and has established a clinically proven treatment against flu (including swine flu and avian flu). Inhibition of Several Strains of Influenza Virus in Vitro and Reduction of Symptoms by an Elderberry Extract (Sambucus nigra L.) during an Outbreak of Influenza B Panama. Elderberries are particularly rich in flavonoids, especially anthocyanins which are responsible for their deep purple (almost black) colouring. These powerful antioxidants work to keep the immune system strong and resilient. Dr Gerhard Rechkemmer is the President of Germany’s Federal Research Institute for Nutrition and Food. His research has shown that the anthocyanins in elderberries boost the production of cytokines – proteins that act as messengers within the immune system – thereby enhancing the body’s immune response. Cytokines play a crucial role in the immune system’s response to disease and work in ways very similar to hormones. They can be both inflammatory or anti-inflammatory depending on what is needed and are released by immune cells either directly into the blood stream or locally into body tissue during an immune response. Most commonly affecting women (although men are certainly not exempt), UTI’s, cystitis and bladder infections cause a world of misery and pain. The constant urge to urinate, accompanied by a burning sensation can leave the sufferer feeling housebound and depressed. 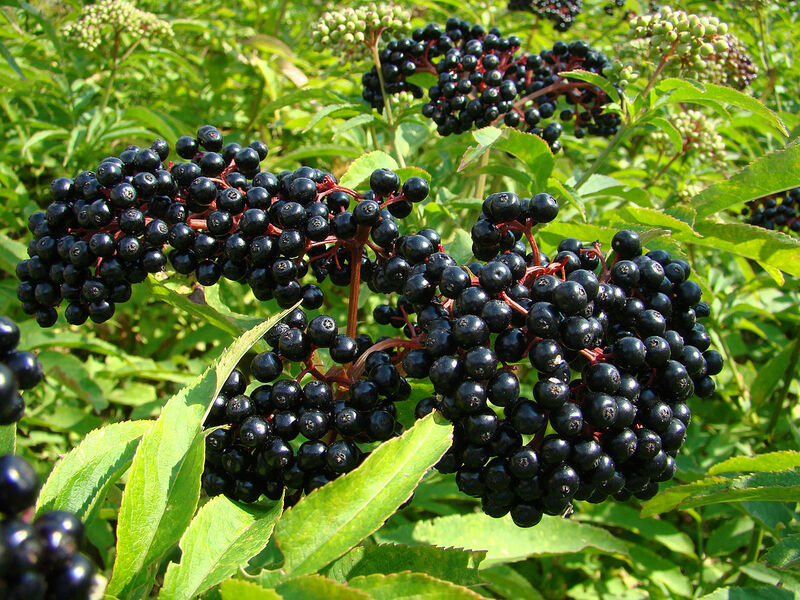 Elderberry tea may bring significant relief from this debilitating condition – first and foremost acting as a diuretic. This is important as it causes the kidneys to continually flush out toxins whilst increasing urination. This in turn helps to flush out the bacteria that cause cystitis, reducing the likelihood of the infection spreading to the bladder and/or kidneys and may also help to reduce its duration. Its anti-inflammatory properties may help to reduce inflammation, potentially reducing the burning and pain that accompanies urination. Elderflower's anti-catarrhal action is also effective in clearing congestion and runny noses caused by seasonal allergies. The high fibre content of elderberries can help to eliminate constipation, reduce excess gas and generally increase the health of the gastrointestinal system. The dietary fibre contained in these berries can also increase nutrient uptake efficiency, especially in the gut, helping you to get more out of the food that you eat. For each pint of juice you get, add 1lb of granulated sugar and 12 cloves. The Elderberry cordial syrup will last up to two years.